When you need something extraordinary for that extraordinary person in your life look to the fine selection of gift-boxes available at Bateel. Since 1936 we have prided ourselves on delivering the finest quality Arabian cuisine with our gourmet gifts. From tree to the table, we bring you the best of the best. All our products are cultivated by recreating the plant’s natural growth cycle, resulting in the highest quality product imaginable. Fine food and exceptional flavours are our specialty. 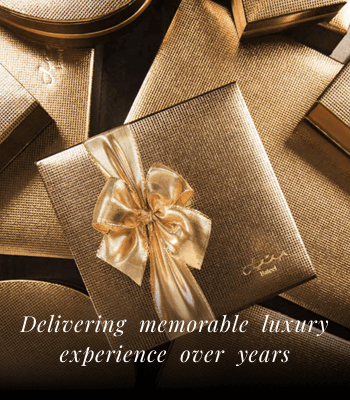 We offer a range of bespoke, premium gifts that you won’t find elsewhere. Amongst them are gifts for all occasions, whether to celebrate engagements, weddings, graduations, or just to say thank you to a loved one, we have something for everyone.When you need something special for that special person in your life, why not consider a gift box of finest Arabian dates in our Cassandra gift box - where timeless elegance meets modern cuisine. 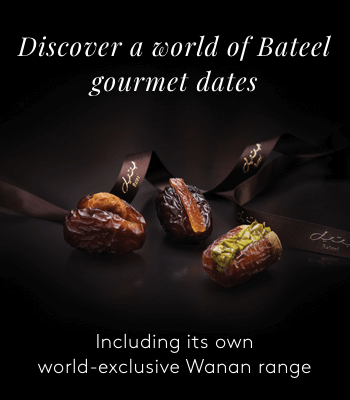 The box features our iconic gold design, and offers a selection of dates with sumptuous gourmet fillings. 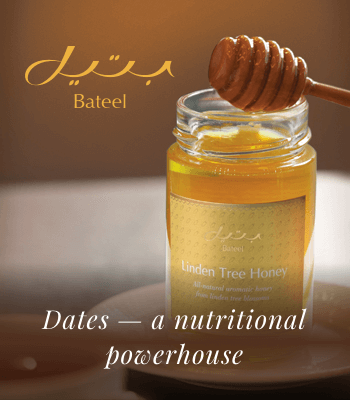 When you order a box from Bateel you will always receive a beautifully packaged, elegant gift box. Amongst our designs you will find our exclusive henna pattern in shimmering gold, with a premium wood finish and carbon fiber structure. You will notice the quality of our products as soon as you hold them, and so will the person opening our giftbox.